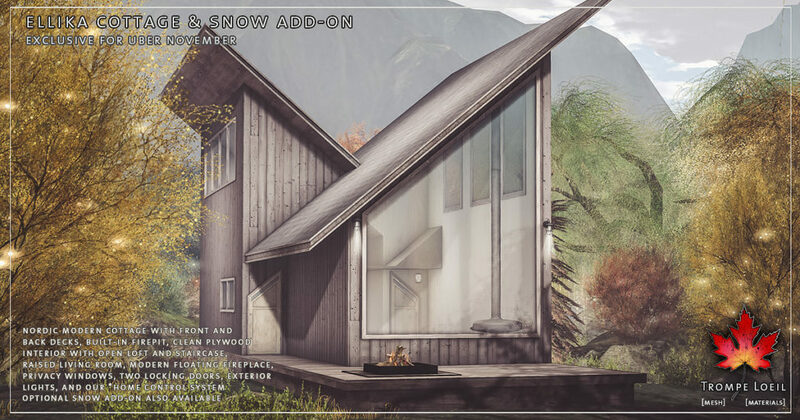 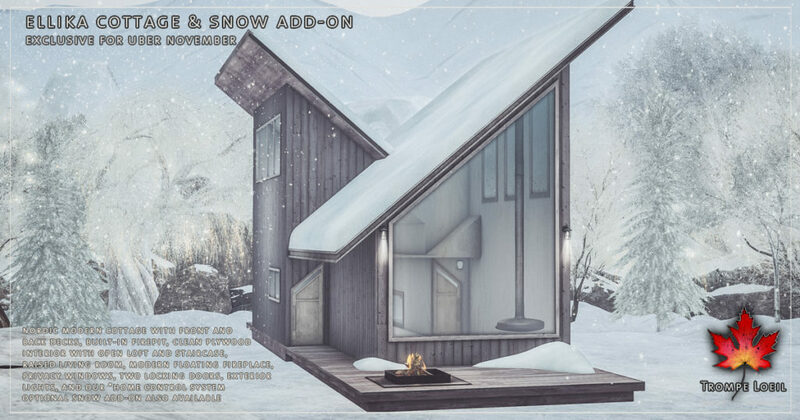 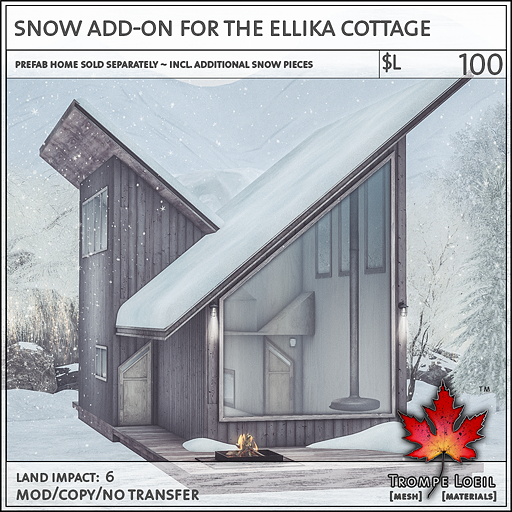 Nordic modern simplicity is a beautiful canvas for the beauty of the holiday season – the Ellika Cottage and optional Snow Add-On at Uber’s November round will showcase all that twinkles and shines! 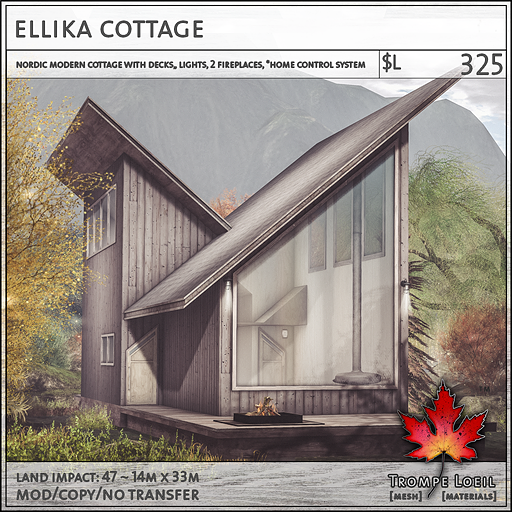 The Ellika Cottage is a modern minimalist cottage with two decks (including front firepit with working on/off fire effects), open loft overlooking a double height slanted-ceiling step-up living room, front facing picture window, interior floating fireplace, privacy windows, locking doors, exterior lights, and our *home control system. 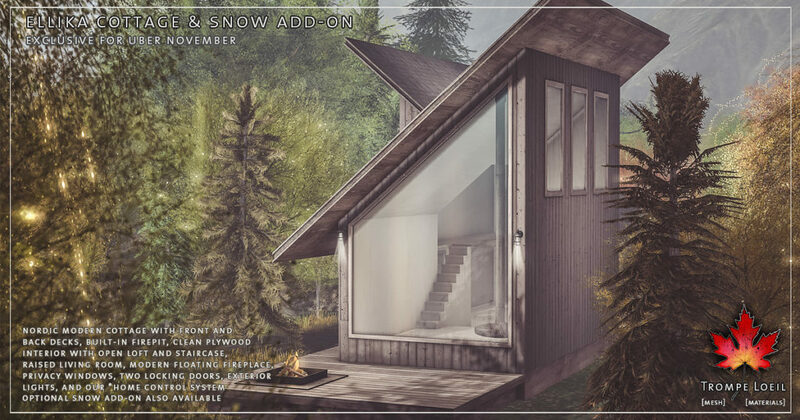 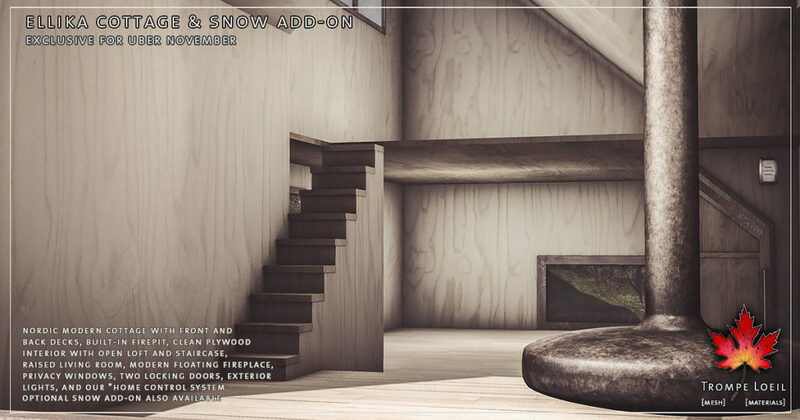 Grab the Snow Add-On to go full winter mode and cozy up for the season! 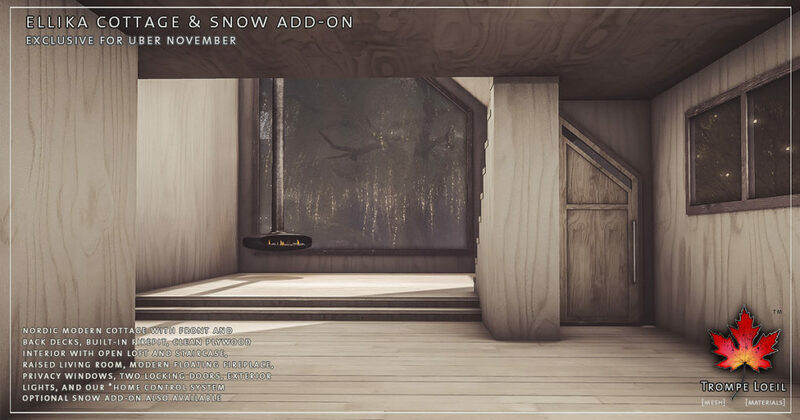 Only at Uber November!